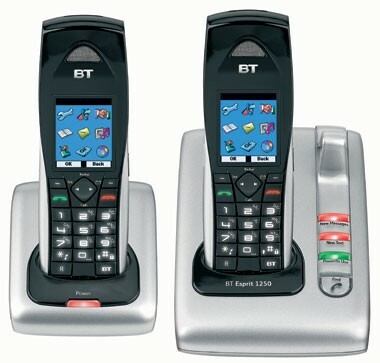 Inspired by the latest mobiles, the BT Esprit Twin has two handsets that have SIM card read and write, as well as sending and receiving text messages, using T9 predictive text. There is an answering machine with up to 18 minutes recording time, plus hands free speakerphone capability. A 64k colour LCD screen with full graphics displays there are five resident games and 15 resident handset ringer melodies, which can also be downloaded via infrared transfer.